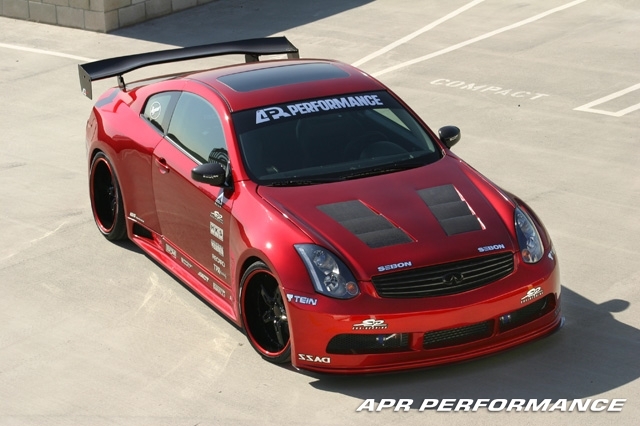 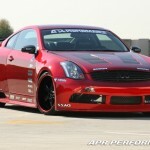 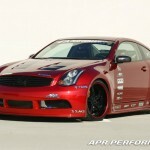 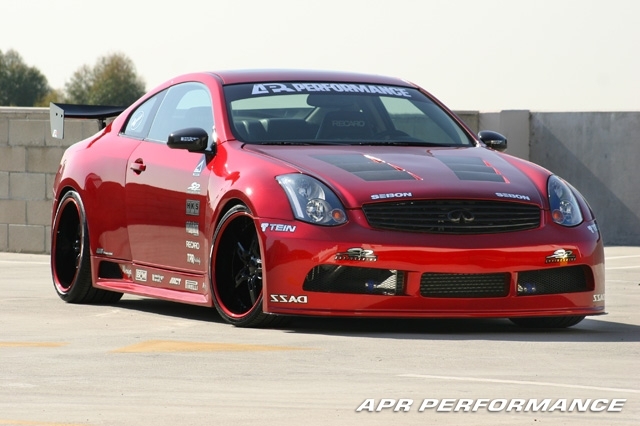 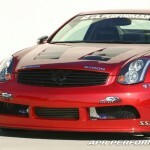 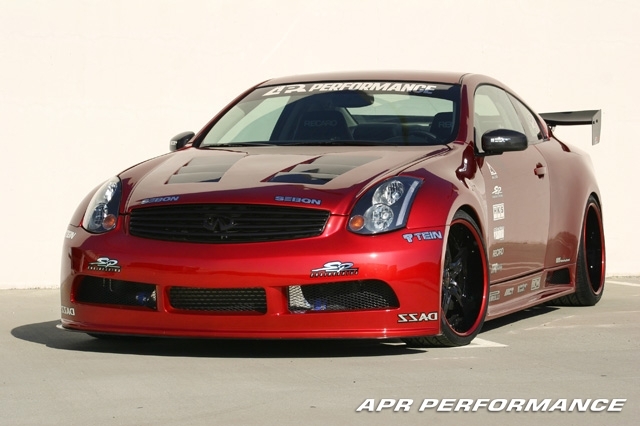 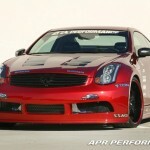 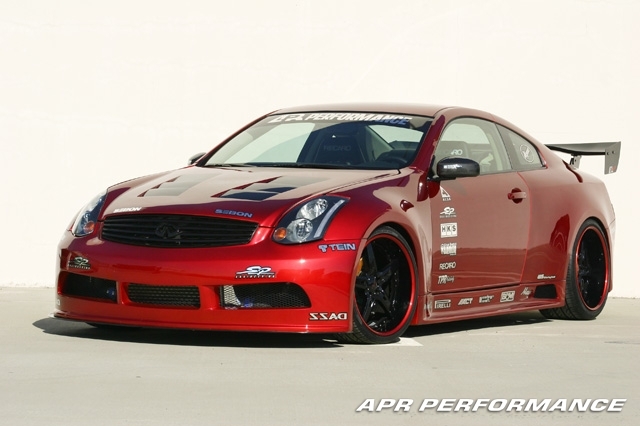 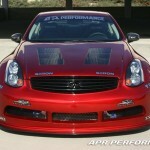 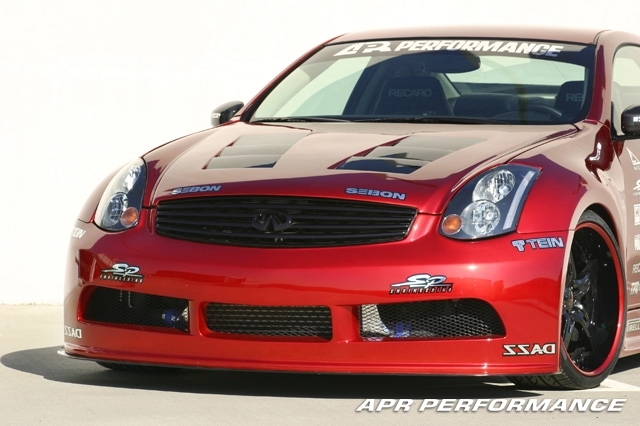 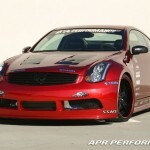 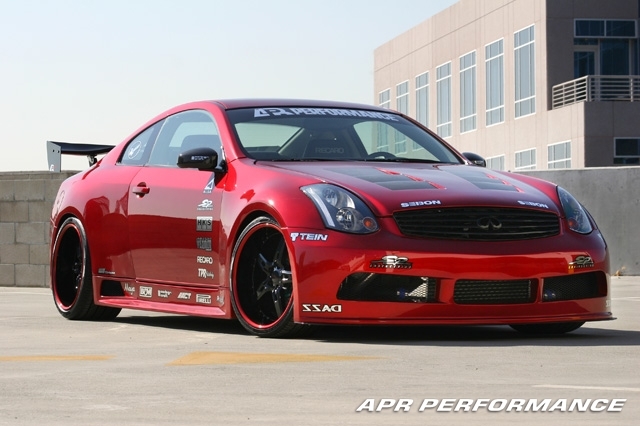 The APR Performance GTR35 Widebody Aerodynamic Kit for the Infiniti G35 Coupe has redefined tuning for the executive level sports touring coupe. 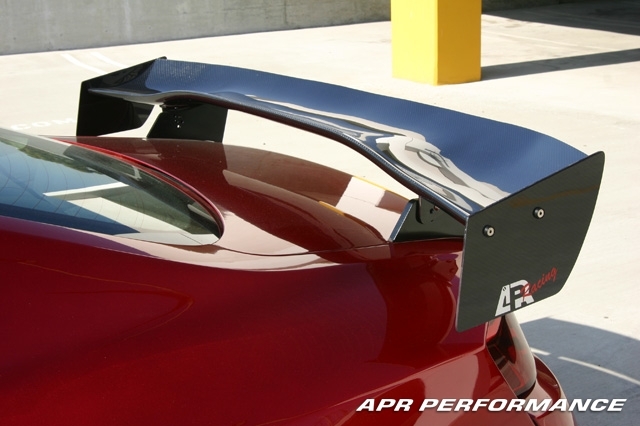 Offering an increase of +45mm on the front and +50mm on the rear of each side of the car, the APR Performance GTR35 Widebody Aerodynamic Kit provides the G35 Coupe a whole new level of high speed traction. 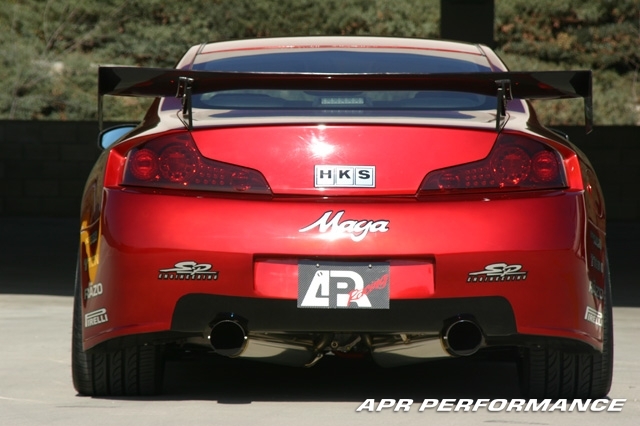 This increase in size accommodates front wheel sizes of 20”x10” with 285/25/20 profile tires and rear wheel sizes of 20”x12” with 325/25/20 profile tires. 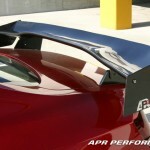 To enhance stability, the APR Performance GTR35 Widebody Aerodynamic Kit includes a carbon fiber front wind splitter that is designed as a front undertray. 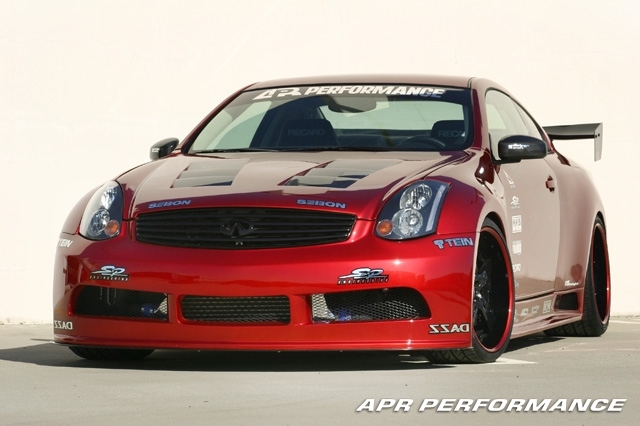 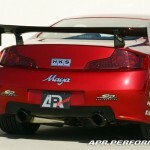 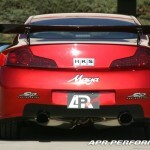 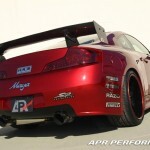 The optional 67” (1,700mm) GTC-300 G35 Spec adjustable rear wing adds downforce on the rear wheels to increase rear-end stability. 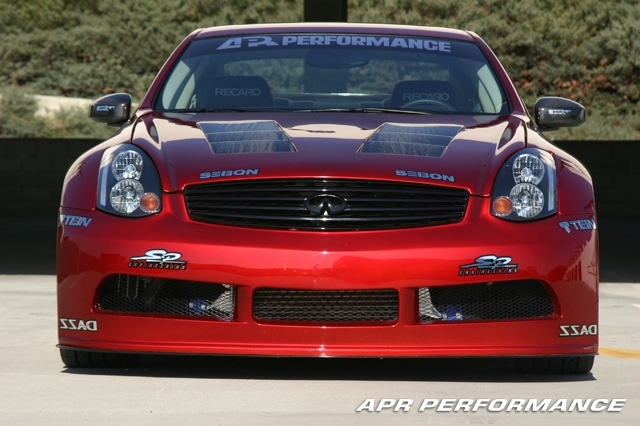 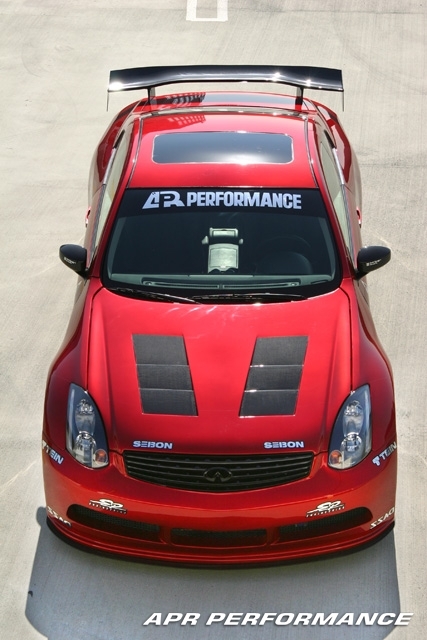 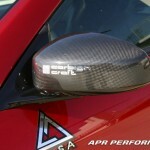 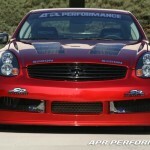 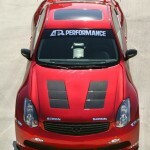 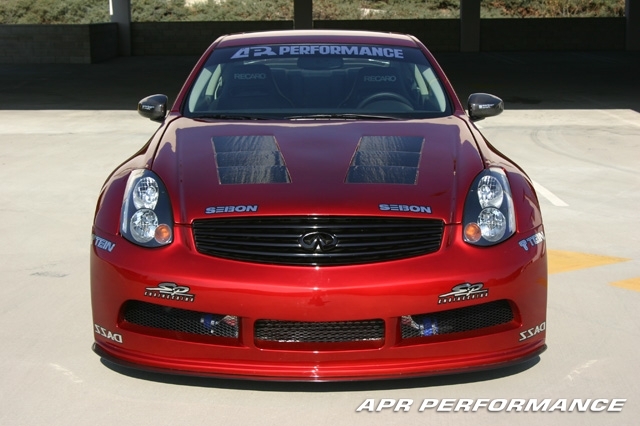 Enhancing the high tech image of the APR Performance GTR35 aerodynamic kit are the Carbign Craft Carbon Fiber Mirror Covers for the Infiniti G35 Coupe. 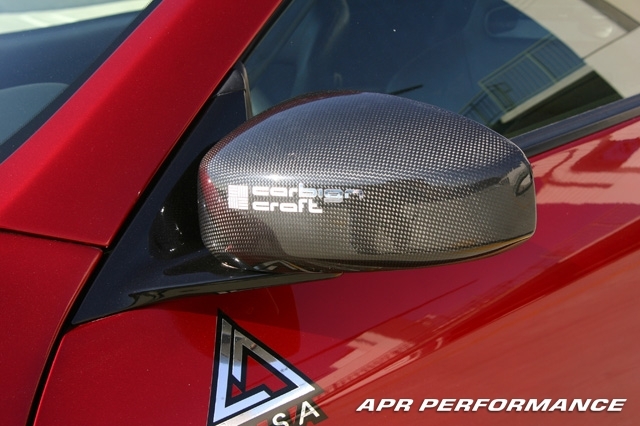 These Carbon Fiber Mirror Covers include wide angle convex mirrors lenses with blue anti-glare lenses for added safety and bring an executive European look.